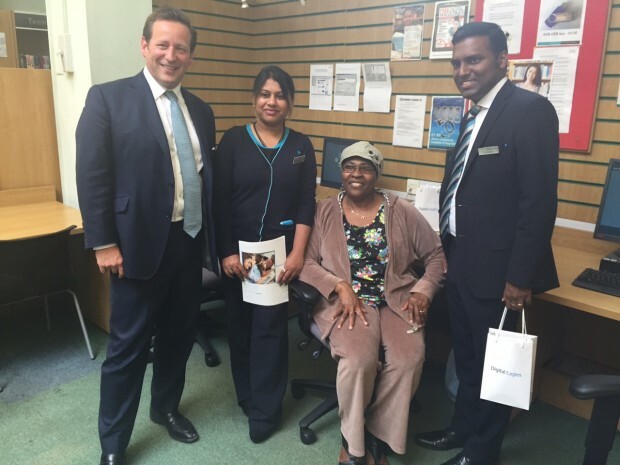 Ed Vaizey, Minister of State for Culture and the Digital Economy, at Nunhead Library in south London with Barclays Digital Eagles Prasanna Kousalya (l) and Jitto Chittapalli (r) and Folashade Okon (seated). Back in December 2014, we held our first Digital Inclusion Forum. At this meeting, we brought together 38 signatories of our Digital Inclusion Charter to discuss ways we could collectively help reduce the number of people in the UK who lack basic digital skills (10.5M adults). One barrier for some people to overcome to get online is the need for cost effective access to the internet. Our partners in the DI Charter all recognise that libraries have a key role to play in our communities, so it was fantastic to hear that one of our partners, BT, was keen to explore providing free wi-fi in some libraries. A month later, Barclays also offered to work with BT on this and supply specially-trained members of Barclays staff - their “Barclays Digital Eagles” - to teach basic online skills in those libraries where free wi-fi would be installed. The partnership between BT and Barclays was announced in March, and they have been working together towards the launch of the scheme since then. 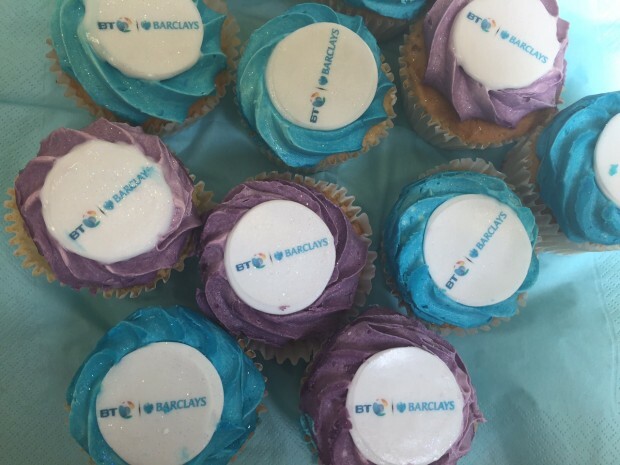 Meanwhile, the Barclays Digital Eagles and BT’s Digital Friends will provide free technology advice to customers and non-customers alike at the new wi-fi sites to help local people build confidence and develop their basic digital skills. Congratulations to both Anna Easton, Sustainable Business Director in BT’s Purposeful Business team and Steven Roberts, Strategic Transformation Director at Barclays, who’ve spearheaded this project. At an event at Nunhead Library in South London to launch the initiative, one local resident, Folashade Okon, enjoyed a lesson from Barclays Digital Eagle Prasanna Kousalya, who showed her how to shop online using the secure checkout and how to search videos on YouTube. Mrs. Okon told us: “I’m not in the dark any more. This is the norm now. Everyone’s talking about computers - even my grandchildren”. Follow Emily on Twitter and don't forget to sign up for alerts to the Digital Inclusion blog.